Alison Kent was a born reader, but it wasn’t until the age of thirty that she decided she wanted to be a writer when she grew up. Five years and a mental library of industry knowledge later, she had the most basic grasp of “how-to” and her first book in print. Three years after that, she found a permanent home at Harlequin, accepting an invitation issued by the senior editor of the Temptation series, live on the “Isn’t It Romantic?” episode of CBS 48 Hours. That book, Call Me, was a Romantic Times finalist for Best First Series Book in 1996. With her first three Temptations in print, she took a break from writing romance novels and spent a few months living one, finding her own hero and practicing every technique she’d learned from a lifetime of reading the best “how-to” manuals around! 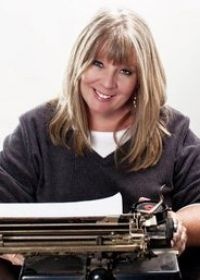 She now writes for both the Harlequin Blaze and Kensington Brava lines, and is a partner in Access Romance and DreamForge Media. And the rest, as they say, is history. With the encouragement of her new master, er, husband, Alison is now back at work writing the stories she loves to read — the fantasies that show readers the way love was meant to be. Alison lives in a Houston, Texas, suburb with her hero, four vagabond kids and a dog named Smith. And she actually manages to write in the midst of all that madness. Readers can contact Alison through her web site at http://www.alisonkent.com.